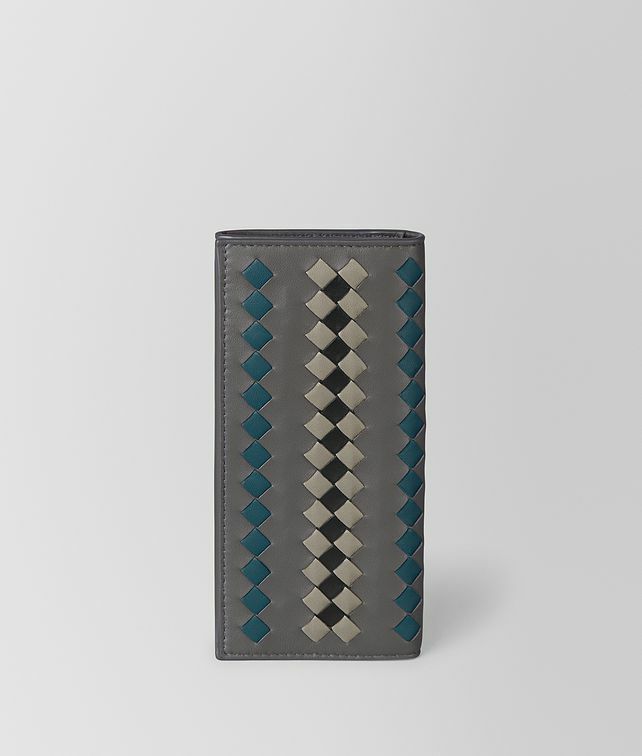 This slim continental wallet is hand-woven in the graphic BV Club 19 workmanship. Crafted from soft nappa leather, the style features a centre intrecciato chequer panel bordered by stripes of solid intrecciato. Fitted with nine card slots, a note compartment, three flat pockets and an exterior flat pocket.